Love, Mrs. Mommy: B.O.S.S. bars® $100 Amazon Gift Card Giveaway! B.O.S.S. 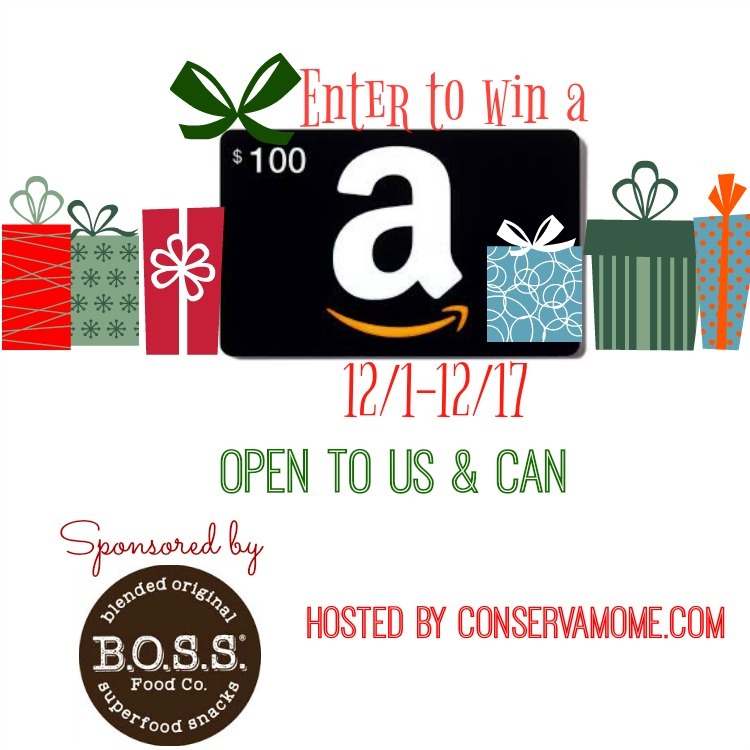 bars® $100 Amazon Gift Card Giveaway! Enter for your chance to win this great giveaway. Open to US and Canada entrants! It's Holiday time which means we are all probably not making the best dietary choices. That's why I'm here to tell you about B.O.S.S Food Co. This amazing company was started by Andrea Spirov. Her story is similar to most of ours, she found herself in a personal wellness rut. Like so many of us, she’d been living a life where taking care of herself wasn’t a priority. Instead, she was living as an expat overseas and exploring the globe fast and furiously. She realized she was always tired, stressed, and struggling with infertility. That’s when she embarked on a quest to fix her health. In less than 18 months, she underwent a complete transformation. There was no magic pill or surgery. Rather, she relied on exploration, research, and good old determination. Most of her changes were made with the basics in mind: "I changed my diet, my lifestyle, and my circumstances." After exploring various food combinations, she came up with a super bar that not only tastes delicious but the combinations are actually designed to bring out the functional benefits of the ingredients. In 2015, The B.O.S.S. Food Company® was born in a tiny kitchen. However, in Houston, people know food – people love food! They also have a passion for bringing ideas to life and to help others persist in the face of adversity. Drawing on the energy of the city, she expanded to farmers’ markets and local retailers, and now makes them out of a dedicated facility. B.O.S.S. bars® fit seamlessly into busy lifestyles, as easily as iPhones and Uber. They filled up their customers and fueled their days. And the bars tasted good! Their secret is simple. Literally, that’s the answer “simple.” Simple ingredients for extraordinary taste. B.O.S.S. Bars® are a trusted alternative to other bars and snacks. 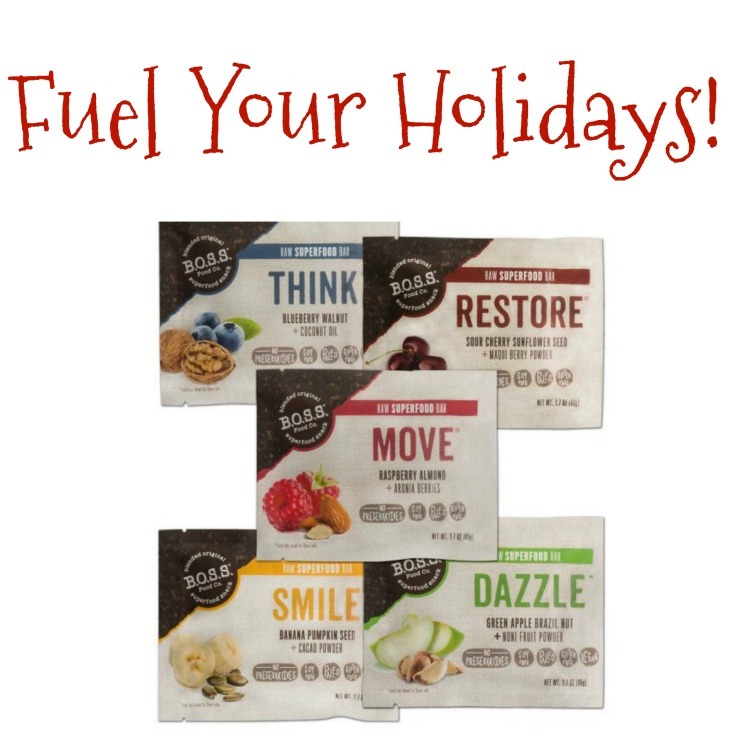 If you need to MOVE®, THINK®, SMILE®, RESTORE®, and/or DAZZLE™, they are here to help your hunger. They are here to help you soar. Each bar has a different nutritional focus, which you might notice in their names. 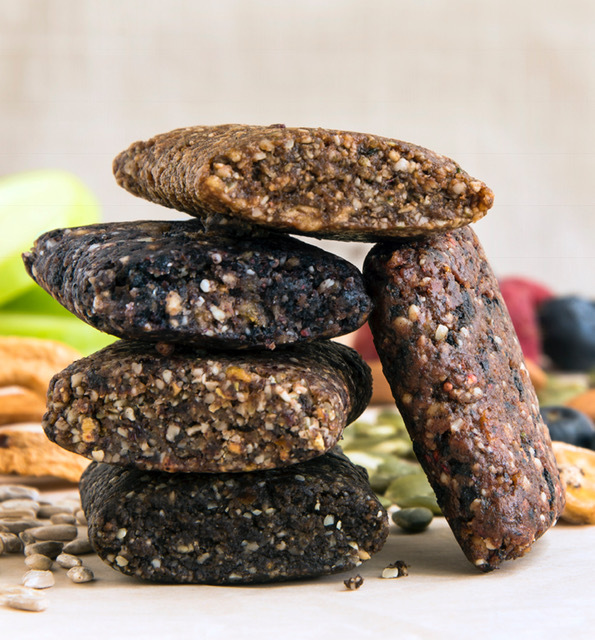 Want a great post-workout recovery snack? Time to MOVE®! Afternoon slump or down in the dumps? Pack in some protein and the tryptophan-rich ingredients in our SMILE® bar so you can do just that. 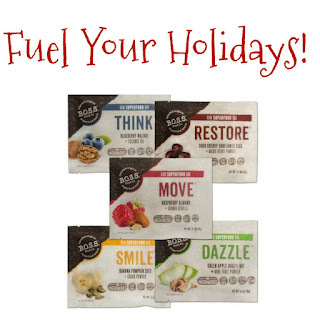 These bars are ready to fuel your life, to help you get to where you need to get this holiday season while doing it in a healthy manner! Get Social with B.O.S.S. 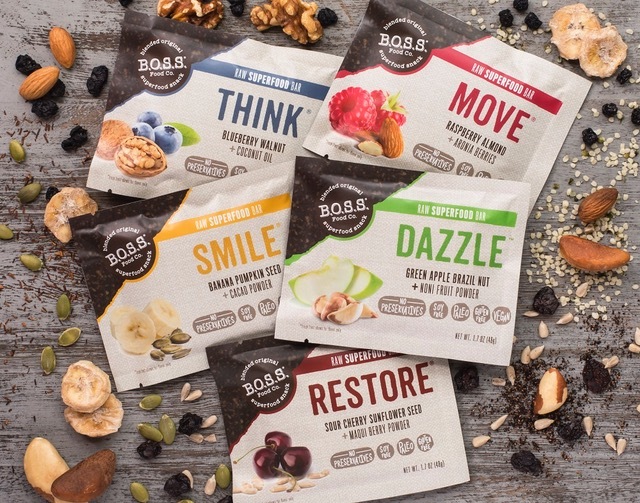 bars® to keep up with their latest news! Now for the best part! B.O.S.S. bars® wants to reward you this Holiday season by checking them out online! Best of all one lucky reader will win a $100 Amazon Gift card to fuel their wallet! To enter head below for your chance to win. Giveaway is open to US & CAN and ends on 12/17 at 11:59pm EST.Must be 18+ to enter. By Entering this Giveaway, You are giving Permission to join B.O.S.S. bars® Email List. Good luck! What I like most about these bars is that it will make a healthy snack. I like that it is low glycemic as I get low blood sugar easily. I'd am going to check if any are gluten free. That would be the clincher for me! I am a big fan of packed bars such as these for work; I am always on the go and need my snacks to match my lifestyle and health goals. The more unique and flavorful the better which is why I am really intrigued by these. I love the fact that they are gluten free. Have to eat gluten free because of medical reasons it's not just a fad.